This is the first proper review I've done in ages! 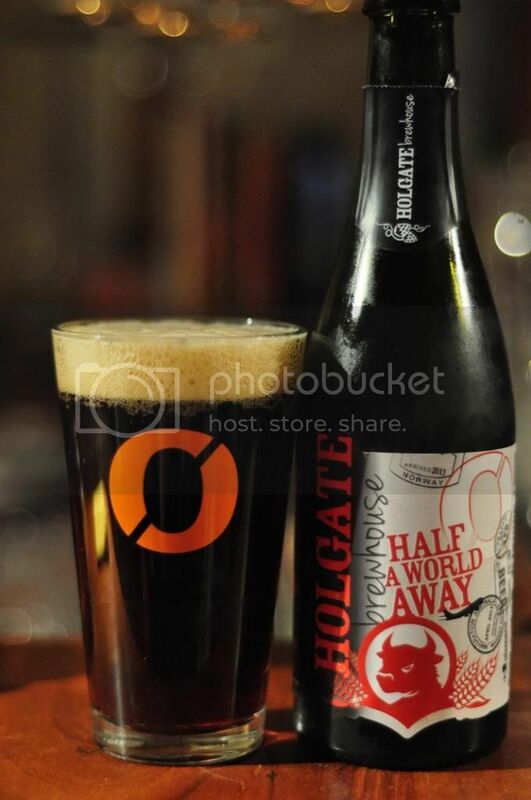 But it's a great beer to come back on; the Nøgne Ø/Holgate collaboration Half a World Away. The beer is the result of the brewer swap that these two breweries did earlier in the year. Holgate sent one of their brewers, Nick, to Nøgne Ø in exchange for Ingrid. Basically they swapped lives for a few months and part of their job was to come up with a collaboration beer with what they both learnt. Half a World Away is the result, an Imperial Amber/Red Ale and I can't wait to try it! With what these two breweries have been pumping out recently it's not going to be bad! The pour is a very bright red colour, even if the photo doesn't quite show it. The Holgate and Nøgne Ø collaboration has only a smallish tan coloured head, although the retention is excellent and there is some lacing despite the small size of the head. It's a really impressive looking beer, one of the best looking amber ales that I've seen for a very long time. For such a high ABV alcohol amber ale (say that 5 times fast!) I was expecting alot more in the way of an alcohol element to the nose, but I can happily report there was none. The majority of the nose is made up of medium bodied malts with some fruit flavours and earthy hops also present. It's a nose that I could smell all day long. Half A World Away is a triumph for the once simple amber ale. Not only does it push the boundaries of the style with it's high ABV, but it still retains many of the qualities that make the style one of the most sessionable going around. 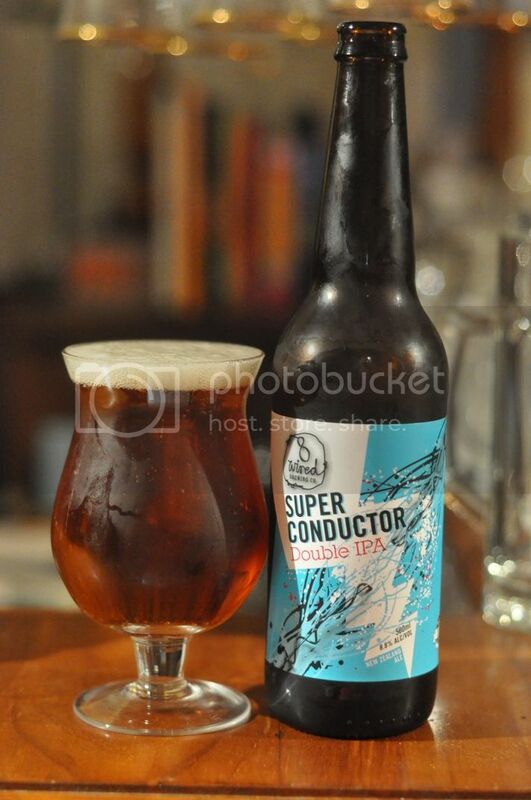 It's perfectly balanced with a mix of strong malt flavours while still having enough hop bite to satisfy most craft drinkers. Absolutely love this one! Overall I was really impressed, once again, by a Holgate seasonal. Recently there seems to be nothing this brewery can't do and Half A World Away was another brilliant example. Right from the first pour when the brilliant ruby liquid bubbled over the edge to the brilliantly balanced flavour; this beer was fantastic from start to finish! It's a beer that everyone should try. OUT OF OFFICE: TOWNSVILLE BREWING CO.